Twelve Mississippi State University (MSU) students have been selected to receive building construction science scholarships for the 2017—2018 academic year. 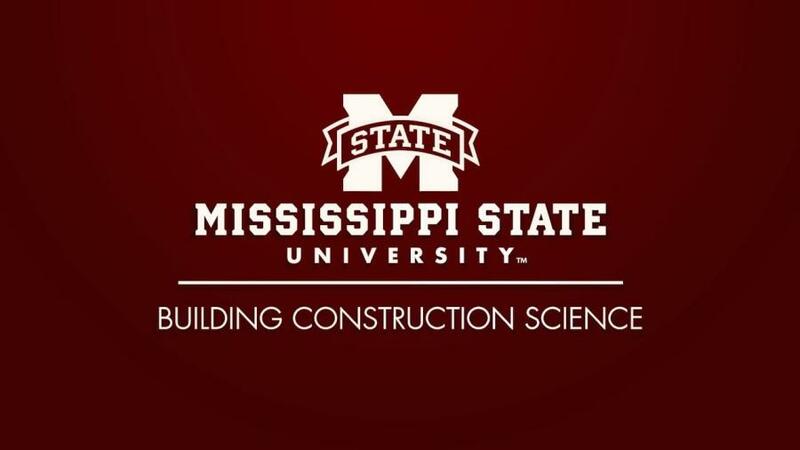 Twelve Mississippi State University (MSU) students have been selected to receive building construction science scholarships for the 2017 to 2018 academic year. The school's building construction science major is one of two programs throughout the country that combines courses in business, engineering and construction science to help ready students launch into construction-focused careers, MSU reported. Freshman Ross Weeden of Belden, Miss. : Weeden will receive $1,000 from the Mississippi Associated Builders and Contractors Scholarship, as well as a $1,000 Mississippi Concrete Industries Association Loyalty Scholarship, which is renewable for 4 years, provided certain criteria are met. Sophomore Victoria Thompson of Columbia, Tenn.: Thompson has been awarded a $1,000 Chip and Jennifer Crane Endowed Scholarship. Sophomore Jalyn Wallin, Decatur, Ala.: Wallin will receive $1,000 from the Brislin, Inc. Annual Scholarship, along with a $2,000 Mississippi Associated Builders and Contractors Scholarship. Wallin has also received the First-Year Student of the Year Award for having the highest GPA for the 2016 fall semester in her class. Senior Tanner Wallace, Fulton, Miss. : Wallace was honored at the Building Construction Science banquet at the end of the year with the Director's Medallion. To earn the award, a student must put forth effort in the classroom, participate in the major's extracurricular activities and present him- or herself as a role model for other students. In addition, Wallace has received the Student of the Year award for highest GPA in his class for the third time. Freshman Maxwell Kirchgessner, Gulf Breeze, Fla.: Kirchgessner has been awarded $1,000 from the Kline Mechanical Systems Annual Scholarship. Senior Cora Howell, Kitty Lake, Alaska: Howell will receive $1,000 from the Brislin, Inc. Annual Scholarship. Senior Jonathan “Jon Luke” Cave, Memphis, Tenn.: Cave has been awarded a $1,000 Brislin, Inc. Annual Scholarship. Cave also received the Third-Year Student of the Year Award for the third time, for having the highest GPA in his class during the fall 2016 semester. Junior Evan Hodges, Slidell, La. : Hodges has been awarded the Second-Year Student of the Year Award for having the highest GPA in his class for the fall 2016 semester. Senior Regan Horn, Slidell, La., Horn will receive a $1,000 Abbey Burnett Bridges Endowed Scholarship. Horn also received the first Student Researcher Award, which “recognizes its recipient's demonstrated professionalism, excitement, energy and drive in successful pursuit of research,” MSU reported. The Student Researcher Award is funded by Visiting Assistant Professor Mohammed Mawlana. In addition, Horn received the Award of Appreciation from the MSU Associated Builders and Contractors Student Chapter, for which she serves as president. Sophomore Hunter Bullock, Smyrna, Tenn.: Bullock has been awarded a $1,000 Brislin, Inc. Annual Scholarship. Sophomore Christopher Sharp, Waco, Texas: Sharp will receive a $1,000 Mississippi Contractors Endowed Scholarship. In addition, Sharp was among three students to receive the First-Year Student of the Year Award for having the highest GPA for the fall 2016 semester. Sophomore Jackson Bates, West Point, Miss. : Bates was among three students receive the First-Year Student of the Year Award for having the highest GPA for the fall 2016 semester.